The person responsible for the contract must be at least 21 years old and must be present during the stay. 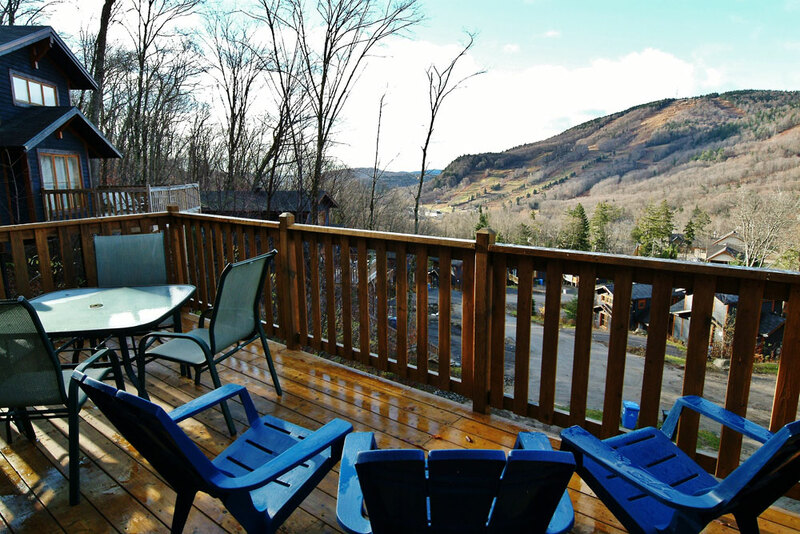 A minimum deposit of 10% of the rental fee is required upon reservation. During the holiday period, the deposit is 25%. This deposit is not refundable. 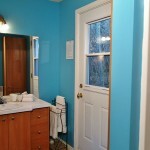 The balance must be paid in full 30 days prior to the occupancy date. Unless an opposite notice, the payment will automatically be made on the same credit card as we used for the deposit. If the reservation is made within 30 days of the occupancy date, a 50% minimum advance payment is required. In this case, the balance must be paid in full upon arrival. The Lessor reserves the right to transfer customers to a unit of equivalent or superior quality without notice. 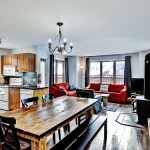 A maximum $1500.00 refundable security deposit will be charged for each rental. This sum must be available on a credit card and is required when the keys are provided upon arrival of the Lessee. This sum will be released upon departure of the Lessee if the conditions of the lease have been respected. The number of people authorized per unit must be respected and cannot be exceeded at any time. It is strictly prohibited to use fireworks of any kind on the Lessor’s premises. The security deposit will be forfeited if fireworks are used. No excessive music or noise will be tolerated either inside or outside the building. A curfew is effective at midnight. A security guard is on duty to enforce this rule. No smoking is allowed inside the building. No pets are allowed inside or outside the building. It is strictly prohibited to park a car in the street or on the grass. It is strictly forbidden to circulate in snowmobile in the streets. Municipal regulations must be respected at all times and the speed limit is 20 km/h on the site. 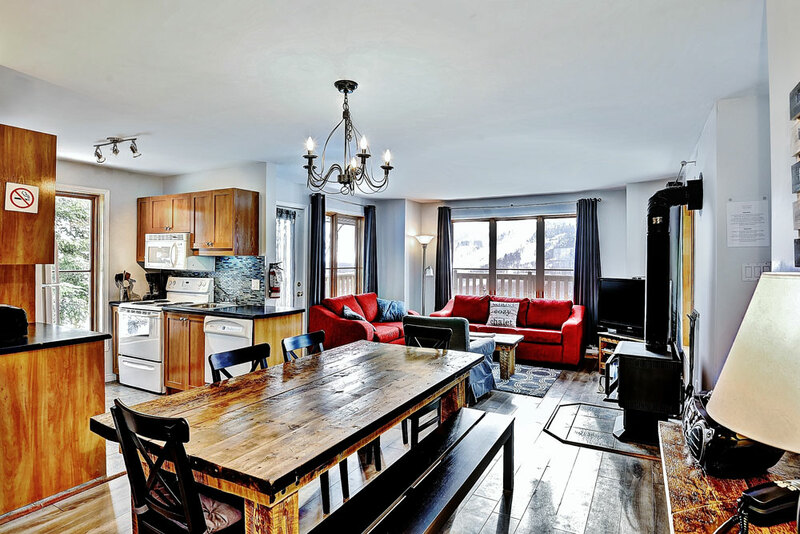 It is strictly prohibited to move the furnitures in the cottage or condo. 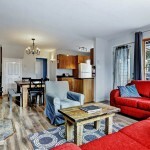 It is strictly prohibited to move, unplug or modify the electronic installations in the cottage or condo (e.g. : TV, DVD, Internet, Modem, Router). 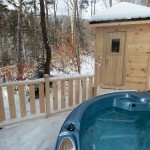 If the unit comes with a hot tub, it comports risks inherent to its use, such as drowning, heatstroke, slipping and falling on icy surfaces caused by splashing water when in use. The Lessee uses it at his own risk with no possible recourse against the building owners or their agents. 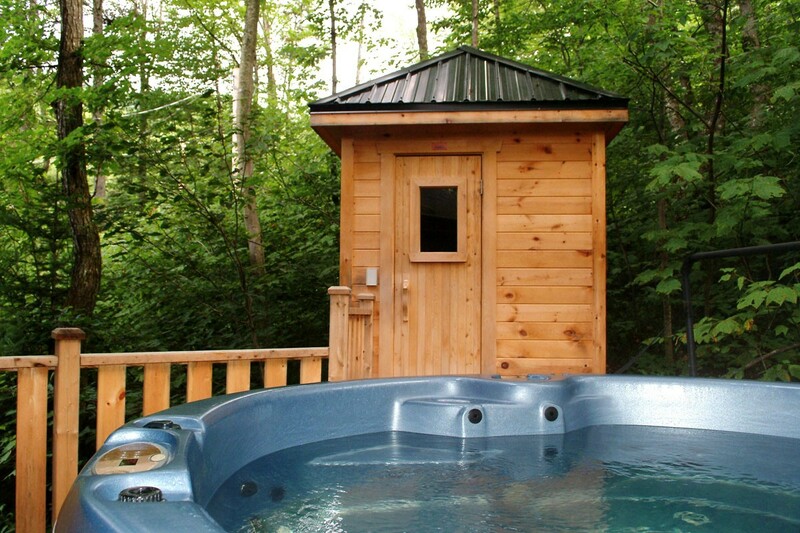 The hot tub accommodates 6 people. It is strictly prohibited to exceed the number of people authorized at one time. The Lessee must advise the other users of this equipment of these risks. The Lessor is not liable for any damages. The non compliance with one or several of the rules will automatically entail a penalty equivalent to the safety deposit. Breaking or damaging any equipment will be charged at cost price directly from the safety deposit. Major damage exceeding the value of safety deposit will be charged to the offender or the person responsible for the rental. A 250$ fine will be kept on your guarantee deposit for a non-respect of our curfew if the security officer has to interfere. The Lessor is not liable for any disruptions due to a power failure, water supply cut or any other situation beyond his control. The Lessor cannot be held responsible for forgotten or lost items in the units. Any item found by the Lessor and unclaimed after one month will be given to charity organizations. 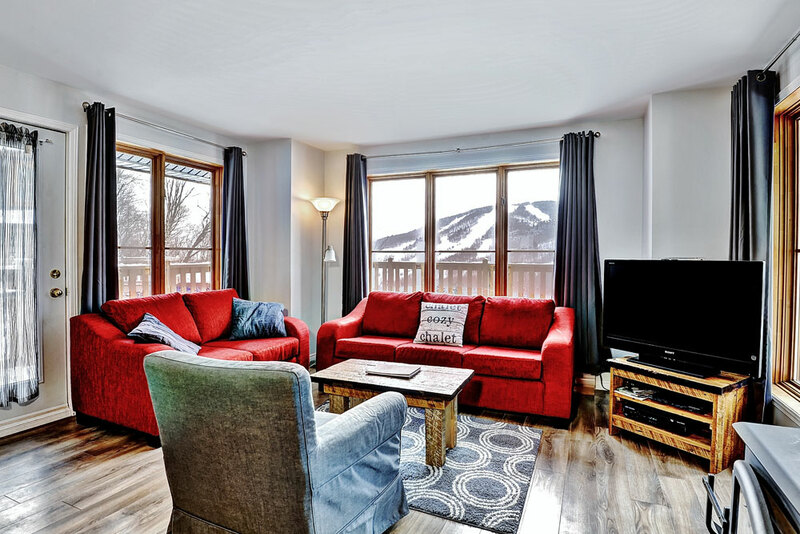 The snow removal service for the chalet and condo’s accesses or to the installations (ex : hot tub) is not included in the rent. It is the responsability of the Lessee to assure free and secure accesses to the unit at all time during the stay. If necessary, the Lessee can communicate with the Lessor to ask for assistance. The Lessor do not guaranty the operation of the barbecue between October 1st and April 30th. The Lessor reserves the right to access inside the unit at any time, without previous notice or acceptance from the Lessee, even if he is out of the unit. The Lessee accepts these rental terms and conditions. 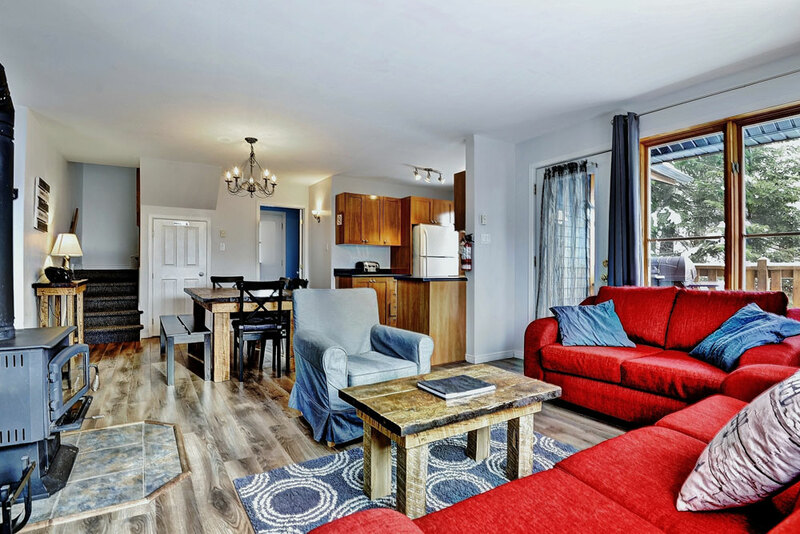 The Lessee ensures that all the people present in the rental unit have read and accepted these rental terms and conditions. By his signature, the Lessee accepts responsibility for any losses or damages caused by anyone present in the unit that he has rented. On his arrival, he therefore undertakes to inform the Lessor of any broken or missing items and agrees to refund the replacement or repair costs for any broken or missing items, at the discretion of the Lessor and understands that the conditions under clauses 3 and 4 must be respected, subject to clause 5. 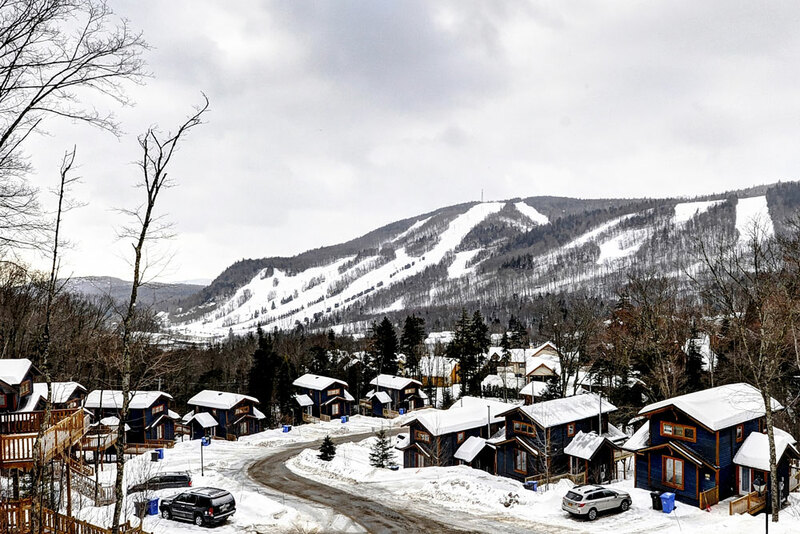 Make sure that each member of your group (and your relatives, in case of an emergency) has the address, the telephone number and directions to your cottage. 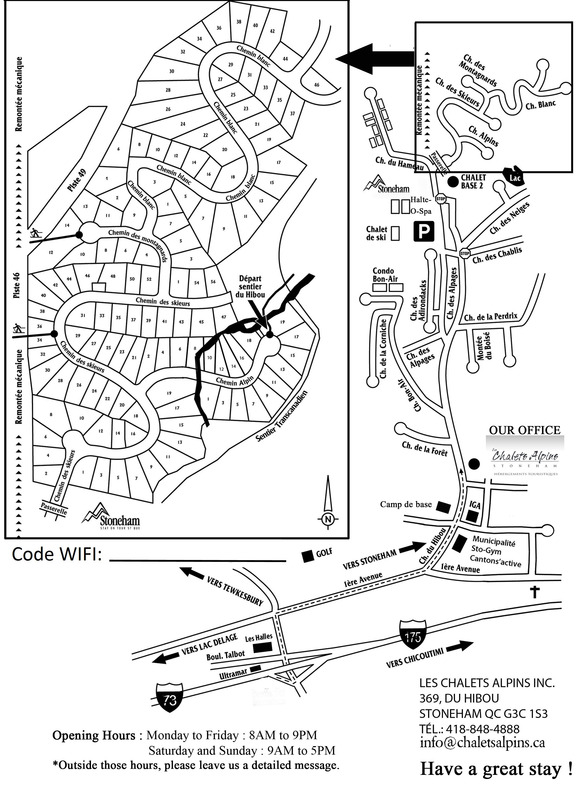 There is a map of the sector where the cottages are found on our website. 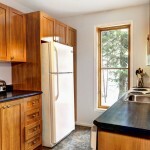 The members of your group can take an online tour of the cottage that you booked on our website at www.chaletsalpins.ca. Please send them this link. 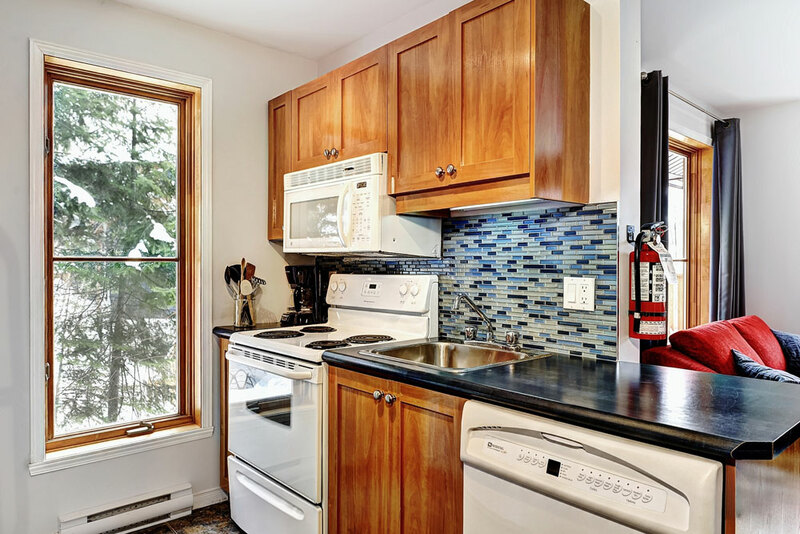 Pick up your keys at 369 du Hibou, Stoneham G3C 1S3. The check-in is for 5pm Monday to Friday and between 1pm and 5pm on Saturday and Sunday. The check-out is for 11am. 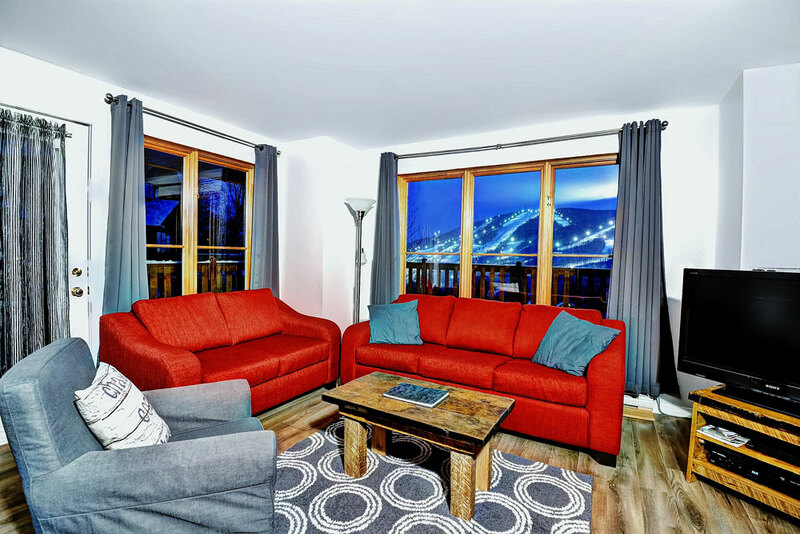 However if the chalet is ready, you will have the possibility to arrive earlier (1pm) and to check-out later (1pm) if the chalet is not rent the day of your departure. Please, communicate with us by e-mail or phone the day before your arrival and we will give you the information. 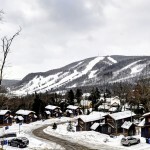 This privilege is offered at the cost of $25 for condos, $50 for chalets and $75 for chalets with a capacity of 25 people and more (Free for our privilege members). Taxes not included. Check-in times cannot be advanced during the holidays, spring break, Easter and Thanksgiving. 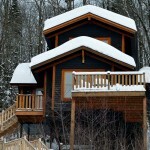 Call us or e-mail us at [email protected] with the address of your cottage and your arrival date. We will send you your check-in time. When you check in, a $1500.00 maximum reimbursable security deposit will be charged to your credit card, so make sure that you have enough funds to cover it. If another member of your group will be checking in ahead of you, this person must agree to take responsibility as co-signer of the contract and must pay the security deposit before we hand over the keys. The credit cardholder who pays the security deposit must be at least 21 years old and has to be present for the transaction. We cannot take any security deposit payments by phone. 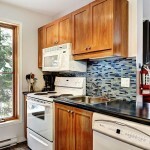 You must drop off the keys at 369 du Hibou. 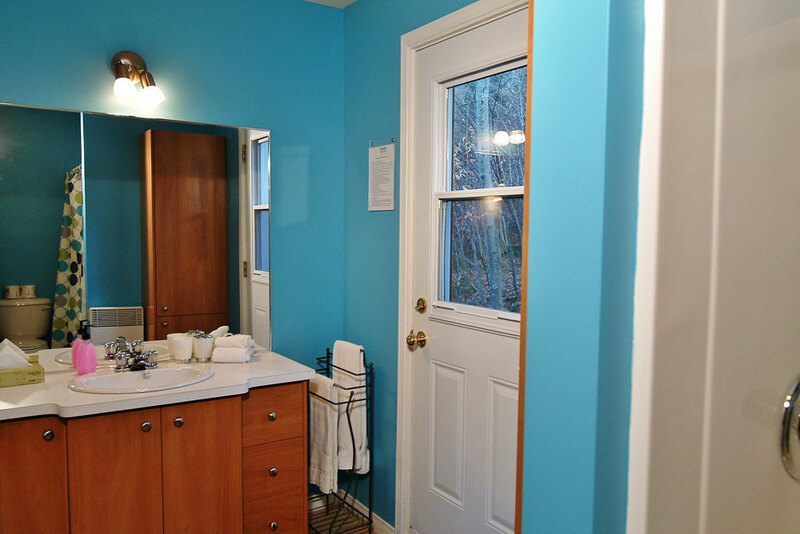 You must notify us of any damages or malfunction in your unit as soon as possible. 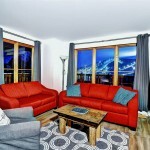 Before you check out, please give us your comments on your Chalets Alpins experience. 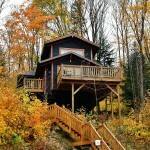 Because we are always working to improve our vacation property rental service, we would like to hear your suggestions. 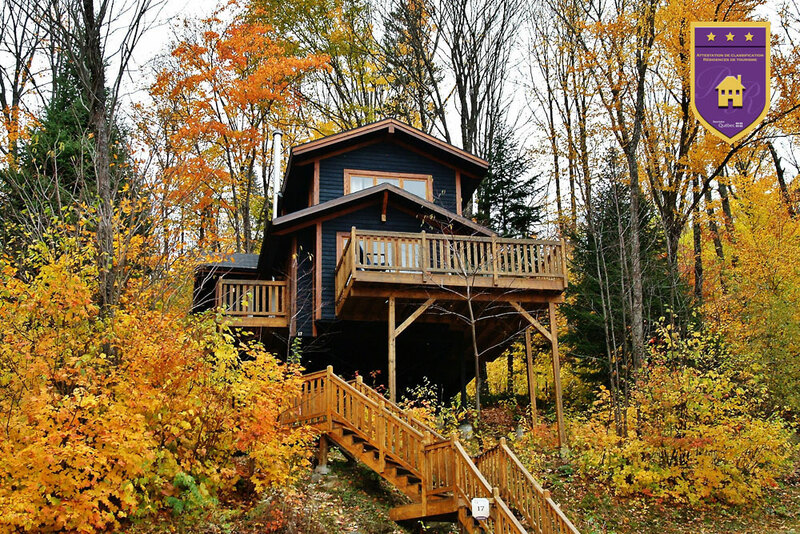 During your stay, cottage upkeep is the responsibility of your group. 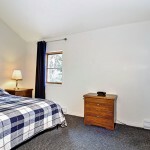 Place used towels, linen and sheets near the main door (do not remove covers mattresses, duvet covers and pillow cover). Do not remake beds that have been slept in. Empty and clean the refrigerator. Leave any broken or impossible to clean items on the kitchen counter. Collect all trash and recycling and deposit it in the outside bins. Do not put fireplace ashes in with the trash. Wash the dishes, fill and run the dishwasher. Do not throw the plastic packaging of household products supplied by *Les Chalets Alpins* (We reuse them). Please notify us if something is not working properly or if you are having any trouble with your unit. We will do everything possible to find a solution. We want to make sure you are comfortable. Make excessive noise that bothers your neighbors at all times; this regulation is enforced by a security guard and a curfew is effective by midnight. You can call the security guard at 418-564-7057. A 250$ fine will be kept on your guarantee deposit for a non-respect of our curfew if the security officer has to interfere. Take glass containers outside the cottage. Unplug or modify any electronic appliance or connection. 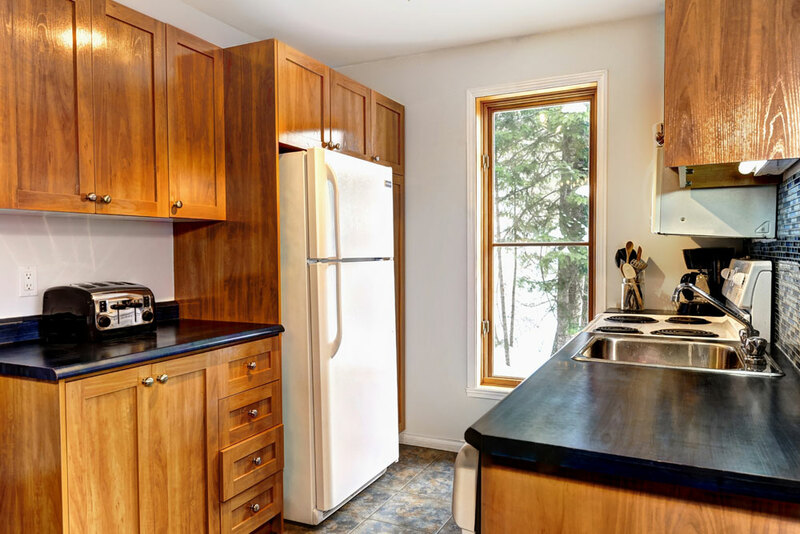 Move the furniture or electronic appliances in the cottage. Park on the street. Caravans are not allowed in the parking. 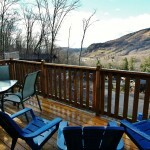 Allow animals inside and outside the cottage *Except in some chalets and condos ($). Drive faster than 20 Km/H. 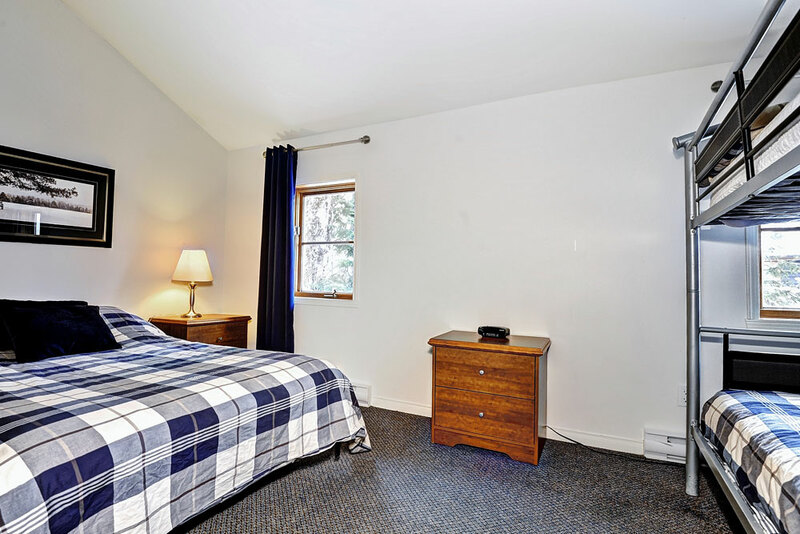 Enough sheets, blankets, pillows, bath towels, hand towels and washcloths are provided for the number of occupants the cottage can sleep. If your unit comes with a hot tub, remember to bring extra bath towels. Enough hand soap, dishwashing liquid, dishwasher and laundry detergent, toilet paper, green and white trash bags are provided for you to start out with. These items will not be restocked during your stay. Depending on the number of people and the amount you use, you should plan to bring your own supplies. Please comply with these color codes. If the bins are full, leave trash bags and other items next to the bins and notify us. Most units have a telephone. Please use a calling card for long-distance calls. Internet is offered in all units. 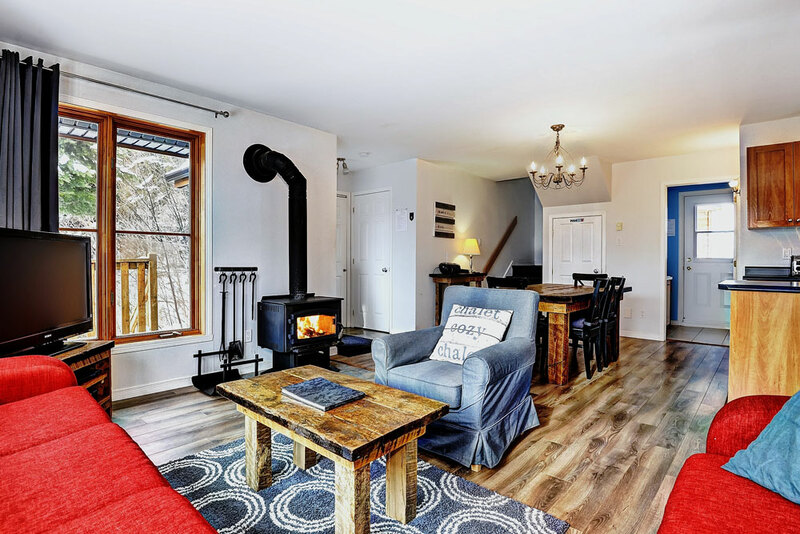 In cottages equipped with a wood fireplace, a limited quantity of firewood is provided during the period between Thanksgiving and Easter Holiday inclusively. Please make moderate use of the fireplace. Firewood is not provided in condos. We do not guaranty the operation of the gaz fireplace between October 1st and April 30th. Most units are equipped with a gas BBQ. A propane tank is provided for your use. Please clean the BBQ after use. We do not guaranty the operation of the barbecue between October 1st and April 30th. 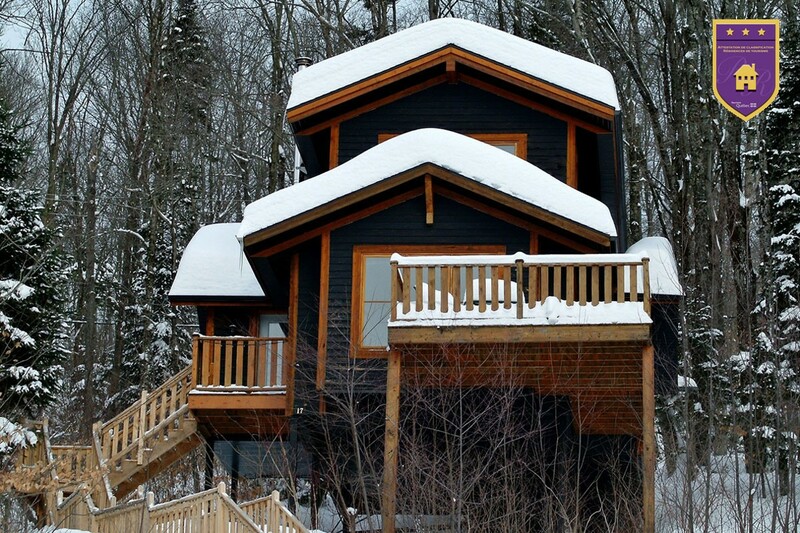 If your cottage is equipped with a hot tub, be advised that the use of the hot tub is at your own risk. We are not liable for accidents. Be careful, the area around the hot tub could be very icy and slippery; use it at your own risk. Do not stay in the hot tub more than 20 minutes at a time. Hot water enhances the effects of alcohol or medication and could cause fainting. Get out of the hot tub immediately if you feel uncomfortable or drowsy. Water attracts children; always replace the cover after use. During pregnancy, limit use of the hot tub to no more than 10 minutes. Before use, you must take a shower and wash with soap. Personal care products such as creams, makeup, suntan lotion, insecticides and deodorant affect water quality. Lay the metal bar on the cover of the hot tub. Fold the first half of the cover back on the second. Lift both sections together. The metal bar will hold up the cover. It takes two people to do this to avoid damaging the cover. Never put the cover on the ground. When you are finished, put the cover back in place to prevent cooling, evaporation and contamination of the water. Reset the water temperature to 100°F. The water in the hot tub was checked before your arrival. It’s up to you to keep it clean. 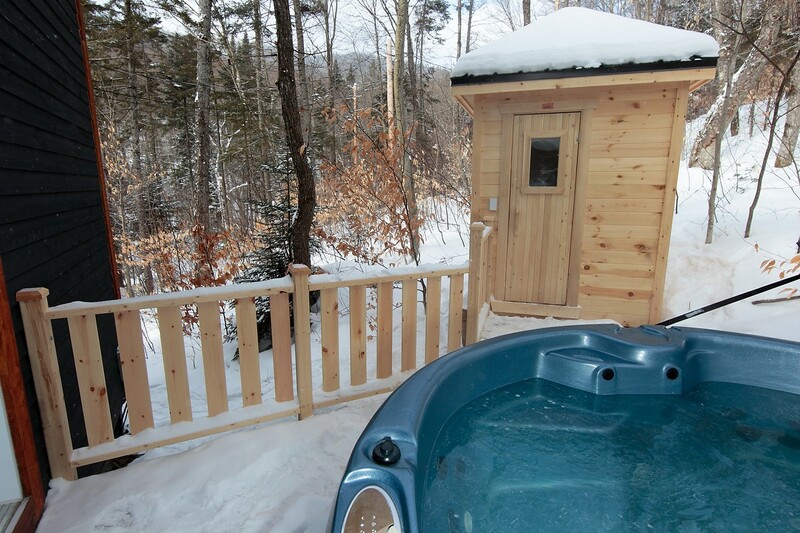 Staff members will come to your cottage to check the condition of your hot tub every day. It is strictly prohibited to empty the hot tub, add chemical products or add water. Before using the sauna, take a hot shower, wash with soap and rinse well. Remove your watch, jewellery and glasses. Do not bring any reading material; the ink fumes could be toxic. Do not drink any alcoholic beverages. Sessions should last no more than 10 minutes followed by a cold shower and a 15-minute break. Always sit or lie down on a towel. We are not liable for accidents. The sauna is dangerous for people with heart conditions. The sauna is not advised for people with impaired circulation, asthma, and respiratory disorders or for pregnant women. Time's up, click here to return to the cottage page. Error: There was an error with the payment. 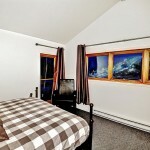 Please try again or contact Les Chalets Alpins at 1 866 882-4888 or by email at [email protected]. There was an error with your reservation. 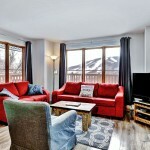 Please contact chalet alpins at 1 866 882-4888 or by email at [email protected]. The promo code has already been used. Some fields in the contact form are invalid. Please fix them before submitting the form again. I have read and accept the reservation policy You must read and accept the reservation policy. 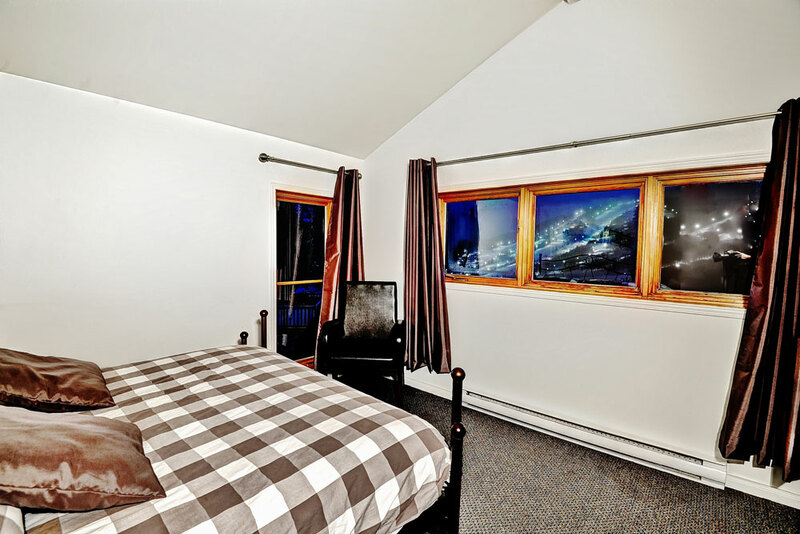 You cannot book this Cottage online. Please contact us at 418-848-4888 or 1-866-882-4888. Reservations for the same day can not be made online. Please contact us at 418-848-4888 or 1-866-882-4888. We were not able to find any future availabilities for the same date range. Please contact us at 418-848-4888 or 1-866-882-4888. 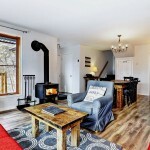 Vacation rental perfect for either a long or a short stay, this 2-bedroom cottage accommodating up to 8 persons, is equipped to make sure that a stay with your friends or loved ones will create lasting happy memories: private hot tub, wood fireplace, BBQ grill, bountiful surroundings, ski slopes and hiking trails almost at the door. *The number of parking space is for information purposes only. It can be subject to change according to the season (weather) or to your vehicle’s size. *Cleaning fees of $25 are not included. Name * The field is required. Email (Will not be visible) * The field is required.